mHealth and broadly speaking e-health is proving to be a boon to low and middle-income countries because it offers a suitable solution to two of their most compelling issues in healthcare delivery – reach and cost. People in these countries for all these years have been deprived of access to valuable healthcare information because of where they live. It is upto the governments of these countries now to figure out ways and means to hasten the adoption and removal of all possible roadblocks – the chief among which is proving to be lack of adequate expertise in the area. 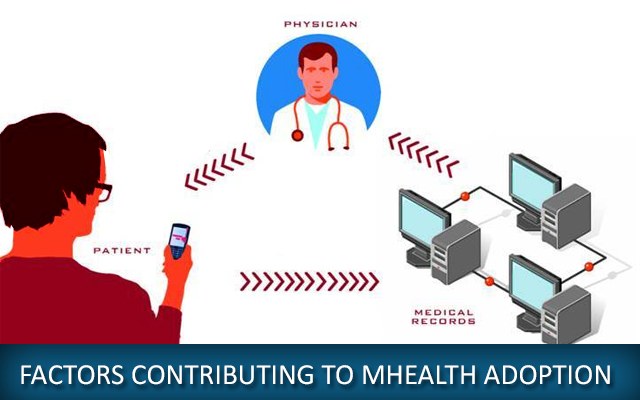 Besides the above four factors, mobile network operators also see a lot of business opportunity in mHealth as the field allows them to offer a range of services over and above the basic ones which they provide. mHealth software development projects for hospital setups create applications which are found to be highly effective in tracking valuable equipment, managing inventory, tracking patients and hospital staff, as well handling medical emergencies. A latest breakthrough has been in the area of handling combative patients – through devices which can be used by the hospital staff to alert their co-workers in the event of their confronting such a situation. New solutions are also finding ways to address temperature monitoring, hygiene compliance etc. Many countries with an aging population find mHealth a commendable platform to reduce the cost of treatment and increase convenience and reach. However, in order to achieve this, the population has to be trained so as to enable them to manage their condition independently. Also, devices have to be more to sophisticated to handle a range of conditions effectively. Efforts towards developing capability to handle the second factor have already had its inception. Moving forward, the market for using wearable devices connected to smartphones is expected to grow. These devices are going to be expected to handle a host of functions in a stand-alone manner or in conjunction with third-party platforms. Since internationally the population of diabetic people is increasing rapidly, diabetes management devices market is expected to grow and so is the market for accompanying healthcare applications. The applications market for Healthcare is shared between medical apps and health apps. The former includes segments medical reference, disease specific apps etc. whereas the later includes ones for weight loss, meditation exercise to name a few. The Healthcare apps market is currently dominated by exercise apps and moving forward the download volume in this category is expected to increase multifold. But the same cannot be said about the impact it will have on revenue. So the fitness app market is expected to reach maturity quicker than the rest and only those apps in this category which are significantly innovative might make a relatively better revenue contribution. FDA, in the meanwhile, has released its latest guidance which it expects to provide clarity and predictability to manufacturers of mobile medical apps. Quite a lot of these companies/developers were holding on to their development work which were risky. These apps are termed so as they can pose a risk to the patient’s safety if they do not work as they are expected to. The delay in releasing the guidelines was acting as a deterrent since they weren’t sure how the final draft would affect the outcome. Although industry stalwarts have expressed their personal opinions to the outcome, there is a consensus on the fact that apps involved in direct patient care need regulation and having a set published guidelines is a step in the right direction. We provide Healthcare IT Services. If you would like to talk to a software tester or certified Healthcare software developer from our team, please get in touch with us at Mindfire Solutions. This Post was posted in Health Care and tagged certified healthcare software testers, Customize EHR system, customize healthcare system, develop clinical information management systems, develop computerized physician order systems, Develop Electronic Health Records, Develop Electronic Medical Records, develop hipaa compliant patient portals, develop medical information system, developers for healthcare application, Domain based software testing, EMR EHR Software development, healthcare it services, healthcare mobile app development, Healthcare software developer, healthcare software integration, healthcare software testers, Healthcare testing services, internet-based medical billing software development, iphone healthcare app development, iphone medical app developers, mHealth software development, mobile health app development, mobile healthcare application development. Bookmark the permalink.